Family owned and operated for over 75 years, Hagopian offers you Michigan's largest selection in rugs. We carry all the top wall-to-wall carpet brands like Karastan, Stanton, Fabrica, Nourison and more. We invite you to try rugs in your home before you buy with our Free In-Home Trial. Our unsurpassed service, no-pressure expert sales consultants and competitive pricing are just a few reasons that make us the place to shop for floor fashions. The Carpet Guys, LLC., is a locally owned and operated Michigan company located in Macomb County, MI. We are a featured accredited business with an A rating with the Better Business Bureau and recently voted best carpet store in Metro Detroit by the Readers Choice Awards in The Macomb Daily Newspaper for our 8th year in a row! We provide sales and installation of new carpet and flooring for the entire Metro Detroit Area. 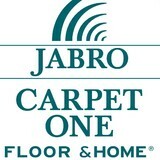 We specialize in all name brand carpet and flooring products. We practically bring the carpet & flooring store right to your door! No more driving all over Metro Detroit. We are pros at keeping it simple for you. Our warehouse direct pricing ensures that you will always get the top carpet deals. High-quality carpet with cheap carpet prices and we only use our very own in-house carpet installation crews, that are all certified, licensed, and insured. We guarantee that our professional craftsmen installing your new carpet or flooring will do a perfect job. In fact, we are so confident, that we back all of our workmanship with our famous LIFETIME INSTALLATION WARRANTY!! Detroit Area Local Carpet Sales & Installation & *Call Now and get up to $400 off your new carpet and installation purchase of $1,800.00 or greater! See sales for details. We proudly serve Oakland County, Macomb County, Wayne County, Grosse Pointe, Macomb, Shelby Township, Utica, Rochester, St. Clair Shores, Harrison Township, Troy, Rochester Hills, Novi, Canton, Livonia, Farmington, Bloomfield, Birmingham, Royal Oak, Ferndale, Sterling Heights, Clinton Township and Oak Park. 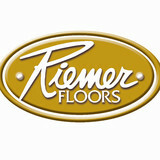 *Authorized Dealer of Shaw Floors* Riemer Floors is a family owned and operated home improvement company that offers a full suite of flooring products for homeowners, commercial property owners and builders, including tile, vinyl, laminate, hardwood, ceramic and carpet, and tile products for personal touches and backsplashes. Our professional sales and installation team’s partner together to provide an outstanding customer experience by understanding each customer’s needs and working to satisfy them in a professionally, timely and quality manner. We carry a plethora of manufacturers including Karastan, Stainmaster, Shaw, Armstrong, Masland, Fabrica, Nourison, Bruce, and Daltile. We hope our site will convince you to stop by and see what we at Jabro Carpet One and Stainmaster Flooring Center can offer you in quality, style and value…The Jabro Way! We’re glad you are interested in finding out more about our store, because our history, we believe, is what sets us apart from our competition. From our modest beginnings to becoming one of the largest flooring stores in the region, we have always held on to our core values of quality, selection, price and value. For over 60 years, we have provided residential homeowners, commercial clients, and institutional builders in Southeast Michigan with a quality, professional flooring service. Our aim is to provide our customers with the finest quality floor coverings at the lowest prices which is made possible through our professional, expert services. Our dedication to quality service is a credit to our success and why we are one of the best known trusted flooring suppliers in the region. At our store, we pride ourselves in offering the best service to our customers. Because of this, we can assist you beginning at the planning stages through delivery and installation. 18 Years in floor covering design and installation Carpet Design Group was born in January 2000 to service the design community’s need for high quality carpet installations. Since that time we have worked with virtually every type and style of carpet currently produced in the world. Because our experience is vast, we are able to consult with other professionals and aid in achieving specific results. The creative staff at Carpet Design Group offer several areas of expertise including materials specification, installations, and maintenance of installed products. 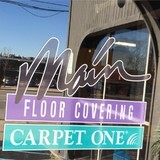 Founded in 1968 by Jerry Mrozinski and Harold Peplau (now retired) Ann Arbor Carpets has been a local mainstay for homeowners and businesses for all of their Ann Arbor flooring needs. After three years on N. Main Street in downtown Ann Arbor, the store moved to its current location on State Circle. Then came a change to a new name: Ann Arbor Carpets-Flooring America. The change was made when Ann Arbor Carpets joined a 500-store nationwide buying group which added the advantages of bigger selection and lower prices. Ann Arbor Carpets-Flooring America offers every kind of covering for the floor, from area rugs to ceramic tile to bamboo, hardwood and even leather, with a showroom containing thousands of samples that customers can see and touch. Plus customers can take advantage of free financing, and a warranty that promises satisfaction guaranteed. Now a new generation is carrying the Ann Arbor Carpets name forward. About 15 years ago Jerry brought in his daughter, Jenny, to help run the business. Today she's the major partner, but he still comes in to work every day. Ann Arbor Carpets-Flooring America - 45 years and going strong! *Authorized Shaw Flooring Dealer* G & K Floor Covering's staff has over seventy years experience. Our skillful staff will make things easy from the start of the project right through to the finish by estimating the job, ordering the necessary materials & coordinating the installation in a timely manner in order to meet any deadline you may have. Our installers are the best in their field, so you can be assured of a beautiful quality installation. We have been a family owned and operated store since 1948! At Main Floor Covering, we can help you choose from luxurious carpets in thousands of colors and patterns or the handcrafted beauty of exotic and domestic hardwoods. We can also help you pick from our diverse styles and designs of intricate patterned tile or our durable laminate flooring, sheet vinyl, and luxury vinyl tile. Located in Utica, MI, Main Floor Covering provides so many choices for every room in your home that lets you express your personal style. Lifestyles Ceramic Tile is an idea center featuring tiles from the world’s leading manufacturers. If you are a do-it-yourselfer or a contractor you are sure to find all the products you will need. You will be amazed with our in-stock assortment of Glass Tile, Marble, Tumbled Marble, Granite and Travertine ready to be delivered immediately. Lifestyles Ceramic Tile absolutely has best in-stock selection in the Detroit Metro Area. Ropposch Brothers Floor Covering was established in 1953 and is currently owned by Lou Ropposch the 3rd generation owner. Ropposch Brothers is well known for quality products and the very highest quality in sales, service and installation. You will find all the knowledge, expertise and materials you need for any project you might tackle in hardwood, tile, carpeting and any other floor covering. About Ropposch Brothers Floor Coverings: Get comfortable with the idea of installing new floor covers in your home. At Ropposch Brothers Floor Coverings, we want you to feel at home. Since 1953, we've been offering you professional flooring installation services. You're at an advantage when you choose us as your flooring installer - get custom flooring and FREE in-home assessments to feel comfortable with your new floors. 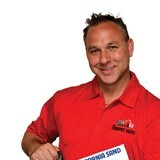 Certified flooring installers. You'll be helped by a professional throughout the entire flooring process, from flooring selection to installation. After you feel comfortable in your selection, an estimator will visit your home to draft a formal proposal. You'll get a FREE in-home estimate of your installation schedule! Benefits of choosing us: Custom flooring options Certified installers In business for over 50 years Communication even after your installation Satisfaction and peace of mind Get the great customer service that you won't get from our competitors in the area! You should feel fully comfortable with the flooring selection and installation process. Even after your flooring is installed, you can contact our dedicated experts with any questions or concerns - we are happy to help. Harbor Floors and Interiors was established in 1971 with a clear vision in mind. Our purpose is to deliver quality flooring at an affordable price while maintaining the highest customer satisfaction. We will only use the most qualified tradesman to maintain the level of excellence that you deserve in your home or business. Harbor Floors is a family owned and operated business and knows how important it is to make sure your needs are fulfilled even after sale and installation. Harbor Floors can help you bring your design ideas to life! Our consultants are the best in the industry and can help you decide color schemes and floor layouts. Our experts can you help you find the perfect Hardwood, Laminate, Ceramic Tile, Marble/Granite, Carpet Commercial/Residential, Vinyl, Cork Flooring, and Area Rugs. We carry all the top manufacturers! It's been our pleasure to serve the flooring needs of the Royal Oak area for more than 67 years. We’re family-owned, neighborhood flooring experts. Drop by and let us help you choose the perfect flooring for your particular home and lifestyle. When it comes to buying flooring for your home, there's only one flooring store to visit, Main Floor Covering Carpet One Floor & Home. With the largest selection of beautiful, stylish carpet on sale, plus brand-name hardwood flooring, laminate and tile, you'll find everything you need to make your home look its best - all at great low prices. Pro Quality Flooring offers beautiful flooring products at all quality and pricing levels for the residential and commercial office client. Professional and guaranteed installation services are available, or material only purchases are welcome. Carpet dealers in Hamtramck, MI help homeowners choose the correct carpet covering for their floors, and also assist with carpet maintenance. This includes determining factors like material, carpet pile, durability, color and size, as well as helping with any custom carpet design. After completing the initial installation (which includes removal of the old flooring, if applicable, and surface prep), they may also handle follow-up maintenance requests such as carpet cleaning, carpet repair and carpet stretching. Carpet dealers might work closely with Michigan contractors, interior designers and others in the home building and home improvement industry. Here are some related professionals and vendors to complement the work of carpet dealers: Interior Designers & Decorators, Design-Build Firms, Specialty Contractors, General Contractors, Home Builders. Find a carpet dealer on Houzz. Narrow your search in the Professionals section of the website to carpet dealers in Hamtramck, MI, and read reviews and ratings for pros in your area.